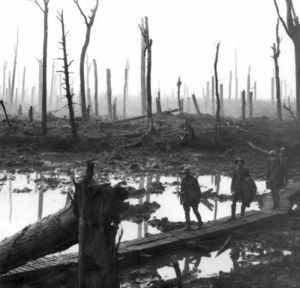 On the morning of October the 12th 1917 845 New Zealand soldiers lost their lives in a failed attack on Bellvue Spur during the Battle of Passchendaele. At commemorations held in Flanders yesterday, Peter Kennedy, The New Zealand Ambassador to Belgium reffered to the attack of that morning “the greatest disaster in New Zealand’s history, in terms of lives lost in a single day”. I can, I think, safely say that this is an issue where the left and the right will have no problem whatsoever finding consensus. The Battle of Passchendale was a tragedy for New Zealand. My grandfather was a Gallipoli veteran, my father a WWII veteran, and my brother fought in Vietnam. We should never take the freedoms that they and their colleagues fought for, and so many died for, for granted.